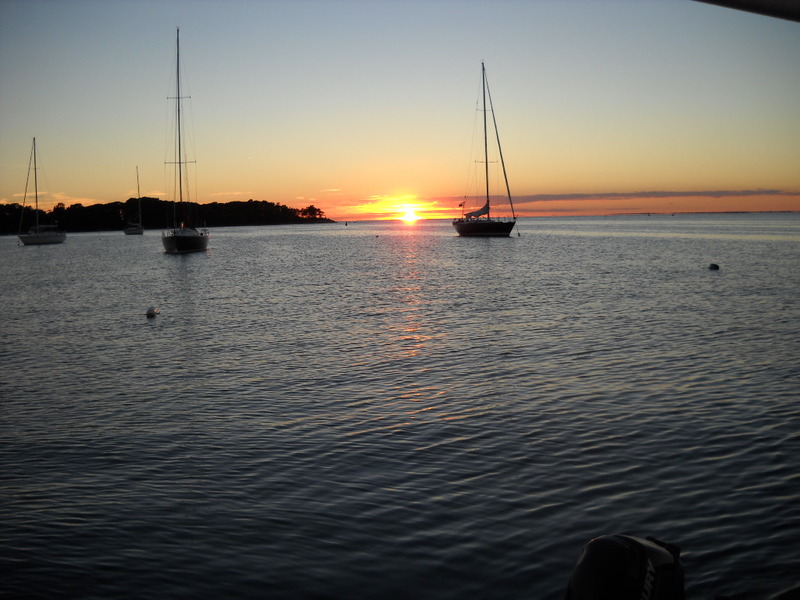 It’s mid September, the time of year when a South Coast Boater never knows exactly when the last cruise of the season will occur. Maybe this is it? I don’t know. It all depends on the weather. A couple of weeks ago, I had hoped to meet up with my friend Captain Skerry and his 12 meter Trojan Knee Deep somewhere in the vicinity of Martha’s Vineyard, but hurricane Hermine ruined that. Too bad man, John Skerry rarely comes out this way. All boaters are slaves to the weather. 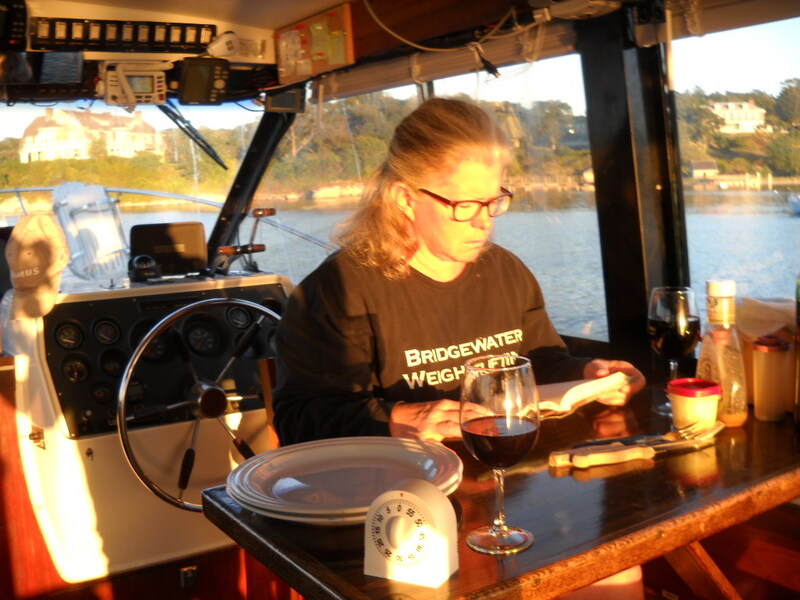 We do what we always do this time of year: enjoy the boat until it gets too cold, or a storm forces us to remove it from the water. When the XO took time off work to celebrate her birthday, we decided to take a boat trip to a place we haven’t been to in a dog’s age: Edgartown. As a matter of fact, the last time we were there, it was in a different boat. A 28 foot express cruiser with a 5.7 liter gas engine and an Alpha One outdrive. She was a good boat but ridiculously expensive to operate. 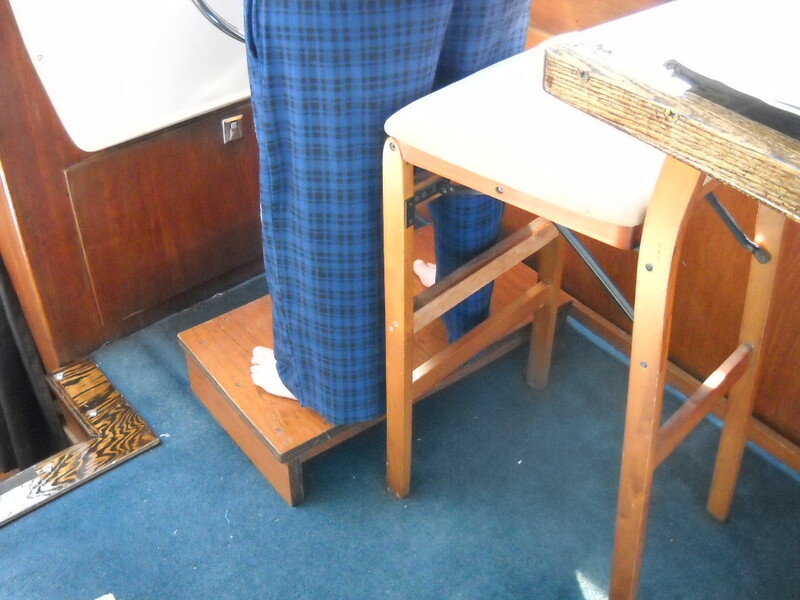 I surely don’t miss that “slow speed wander” that’s inherent in inboard-outboard boats. 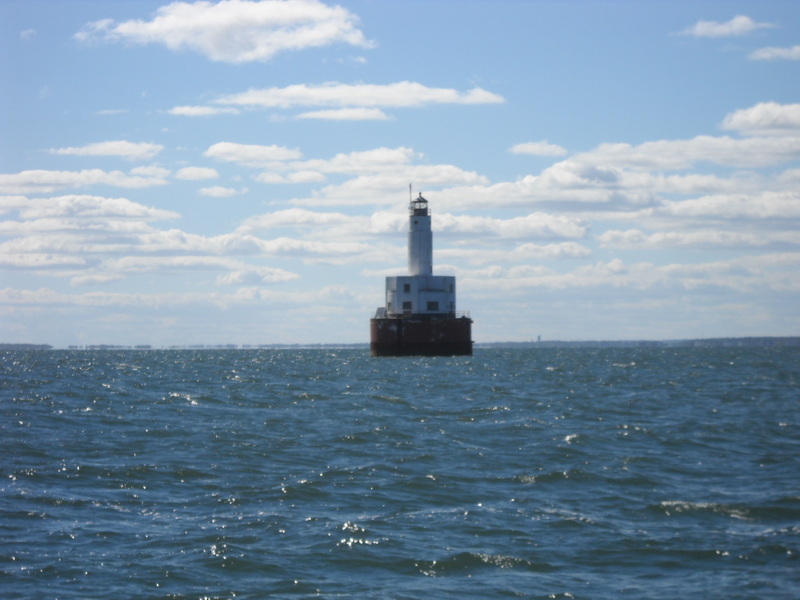 The Cleveland Ledge East Light. On the way to Quissett Harbor. 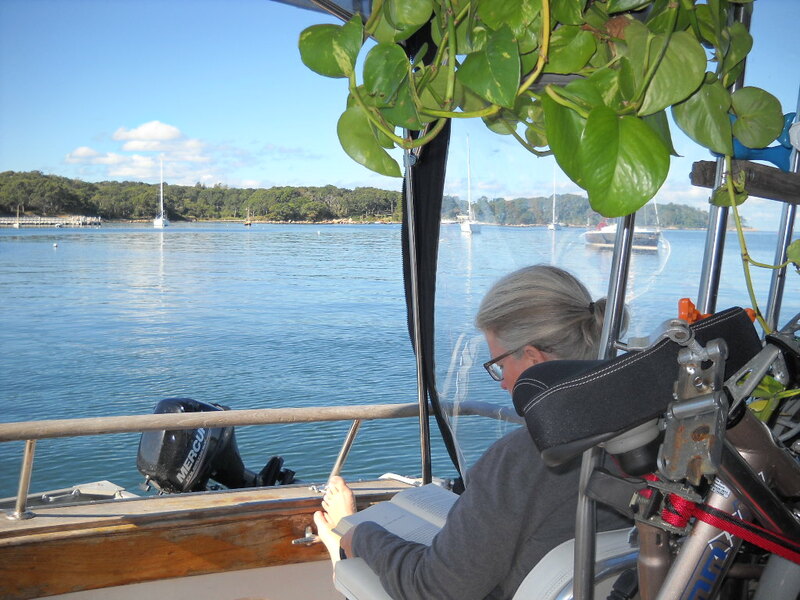 On this gorgeous fall-like day, we headed out as soon as the tide allowed us to drag our dinghy off Swifts Neck Beach, which was about noon. 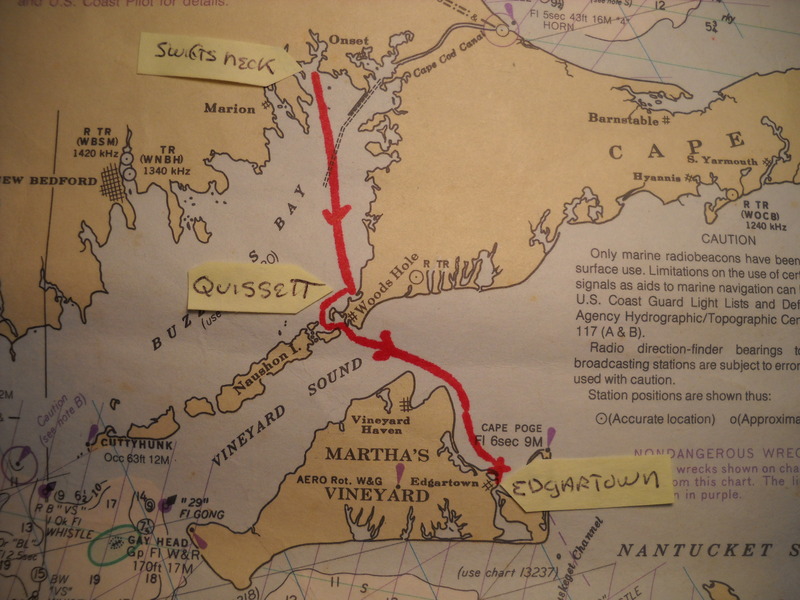 Kinda late for a non-stop run to Martha’s Vineyard, so I figure Quissett Harbor is a good first stop. 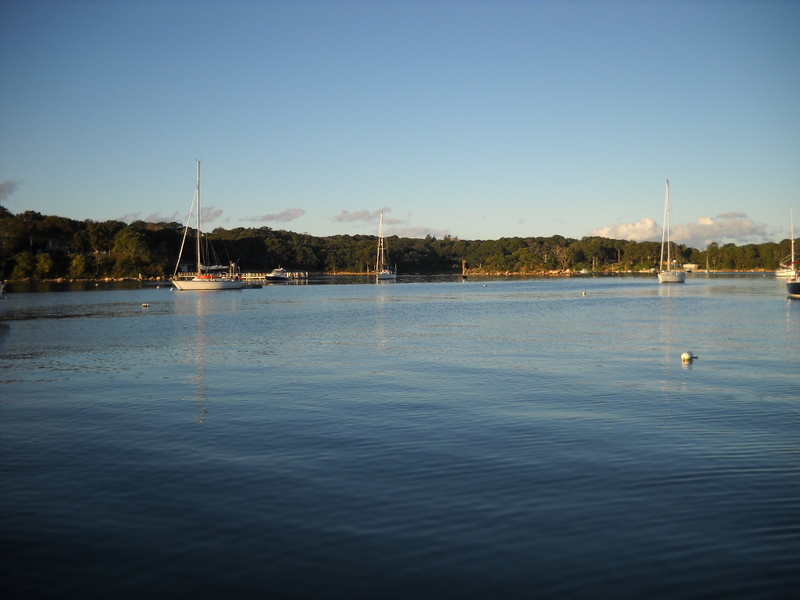 I love Quissett, its scenic beauty is unmatched, and it has an open mooring policy. Simply pick up any empty mooring that’s marked QH. If you’re staying overnight, a nice man will come by and collect his 35 dollar fee; no phone call; no VHF; easy-peasy. It’s too late in the day to explore land based stuff, so we just kick back and enjoy the nice weather. It’s sunny, and a little on the cool side, so we leave the side curtains up, and put on long sleeve shirts. 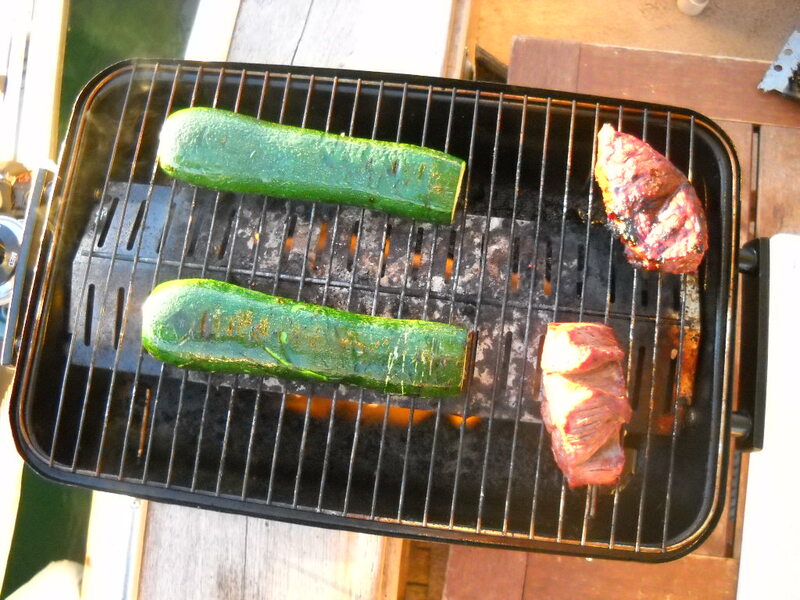 Steak and zucchini for dinner. Patiently waiting for the food to cook. After breakfast we set out for Edgartown Harbor. 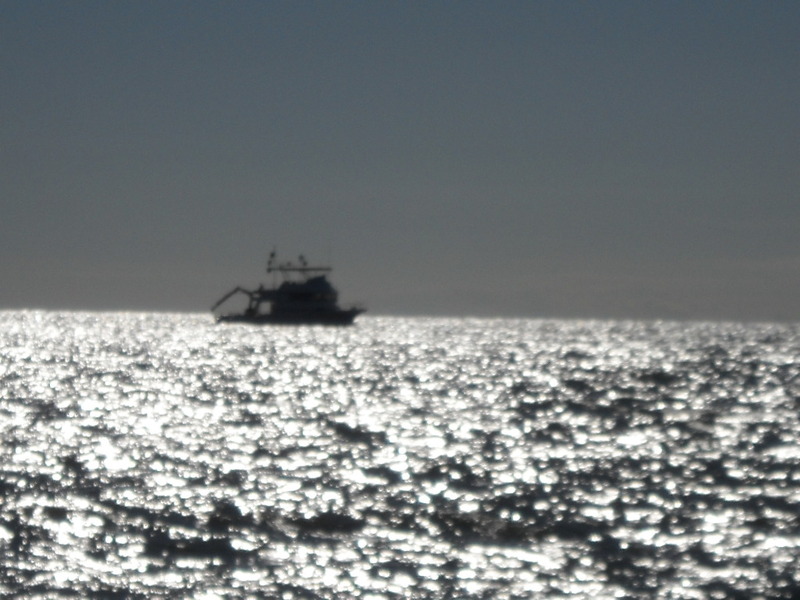 We timed our passage through the Woods Hole Cut well, and zoomed through with a favorable current. 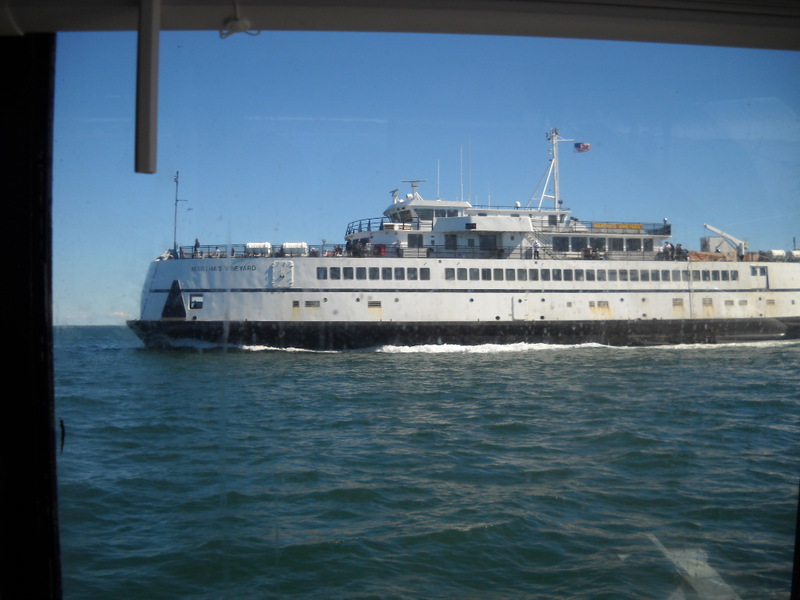 On the other side, in the Vineyard Sound, massive ferrys come and go all day long. These big guys travel at 12 knots, twice our speed. M/V Katama. It’s like a big floating flat-bed. The sun is warm, the winds calm, the waves small, and the current is like Neptune himself is pushing us along. 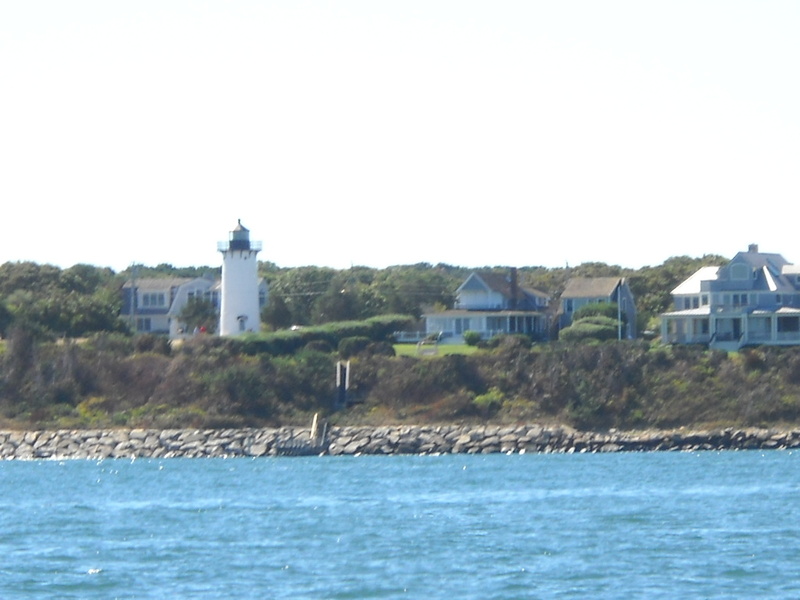 In just a few hours, we reach the familiar lighthouse that marks the entrance to the Edgartown inner harbor. We did the whole trip in our pajamas! I hail the Harbormaster on channel 74. She instructs us to pick up any blue and white mooring, and to please call her back with the number of the one we choose. 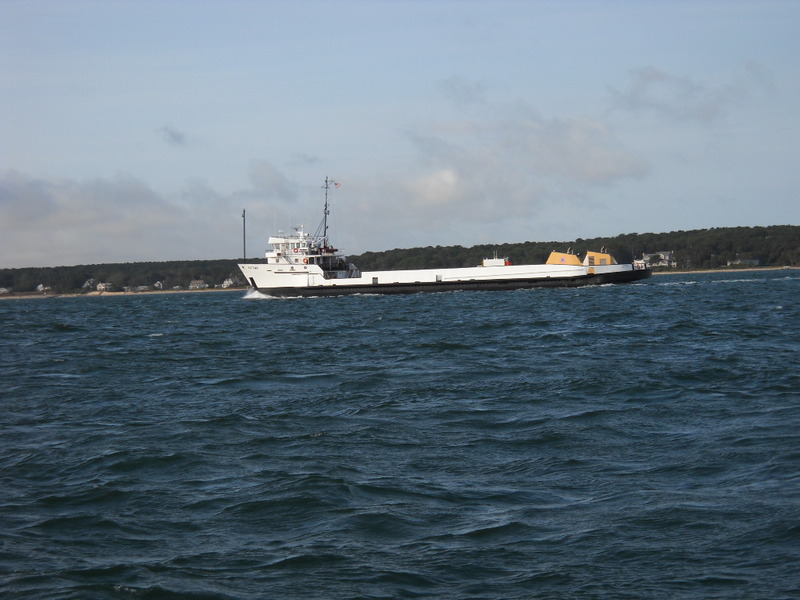 In the entrance waterway, which is not very wide, two ferries constantly criss-cross between Edgartown and Chappaquiddick Island. They can come out at any time, they move pretty fast, and I hear they don’t stop for boats. So watch out! We just barely squeeze through. 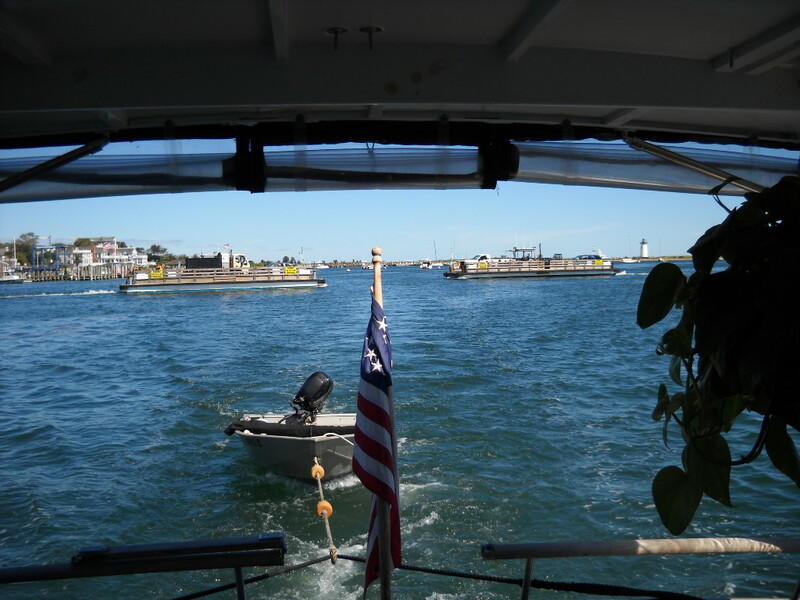 Edgartown — Chappaquiddick criss-crossing ferrys.